ToDaClo is a current buzz word of sorts for “touch-data-cloud,” (or Big Data, The Cloud and Smart Mobile) which appears to have been coined by a writer for Forbes magazine during a talk in Paris in May 2012. The speaker declared the death of the previous buzz word, SoLoMo (social-local-mobile). ToDaClo does not seem to have caught on beyond France as most of the writing and blogging about it is in French. SoLoMo had a following for some time, and even has an online manifesto, vaguely implying location based services, which have been a major mobile feature for some time in Asia, but not here. I think the bottom line is that both of these acronyms are trying to communicate the concept that Big Data, The Cloud and Smart Mobile are inter-related. I actually think of them as One Big Thing, even The Next Big Thing, or perhaps “Ne-Bi-Ng” (Nebing) as some may prefer, though I doubt Nebing will ever catch on. 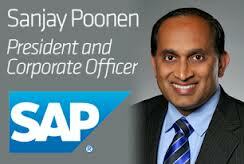 Sanjay Poonen, President & CEO of SAP also views them as One Big Thing. SUMMARY:It’s no secret that mobile, big data and cloud computing are transforming IT. Sanjay Poonen, president of SAP’s mobile division, says companies need a single unified strategy to tackle them, not three separate ones. As mobile technology embeds itself into more and more objects, vehicles, buildings, sensors and machines, the heterogeneity of actionable business information will only grow. “Annual global IP traffic will surpass the zettabyte threshold by the end of 2016,” reports Cisco. “In 2016, global IP traffic will reach 1.3 zettabytes per year or 109.5 exabytes per month.” (As we already know, there are currently at least 2.7 zettabytes in storage globally). ← Strategy: Growth At What Cost?